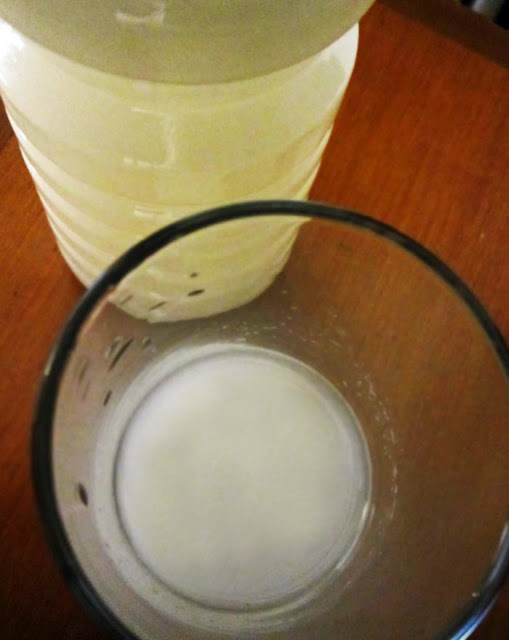 Photos of the milky and cloudy palm wine called Toddy called Kallu in Tamil. It is also known as palm toddy. It is an alcoholic beverage made from the sap of some type of date palms or coconut trees. It has a strange taste for those who have never had it. It tastes strongly of coconut and is slightly acidic in taste. It is available very cheaply in the southern states although its sale is restricted to government shops in Kerala. Toddy has to be consumed the same day as it is produced as afterwards it becomes sour and even more acidic. 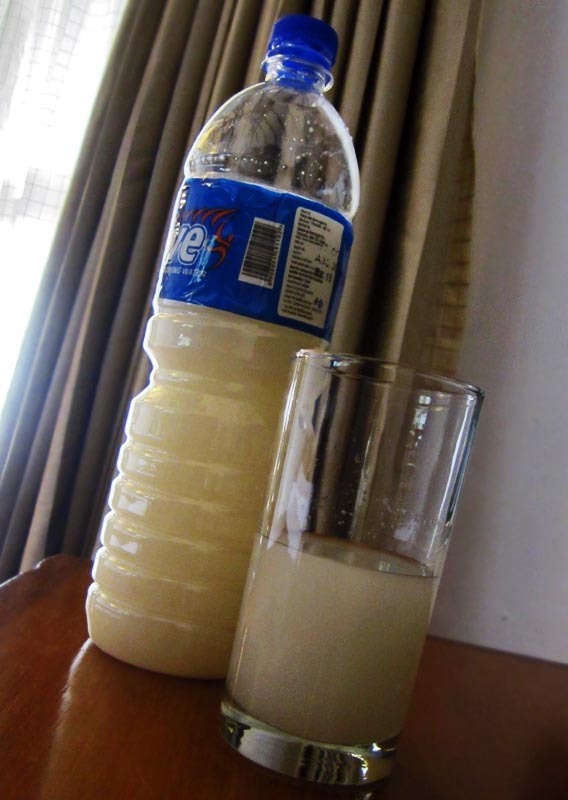 A bottle of Toddy bought at a store in Kerala. A close up of this slightly sour strong tasting alcoholic drink which is popular with the locals.